Every year as the temperatures start to cool, I scour the web for hearty meals to feed my family. 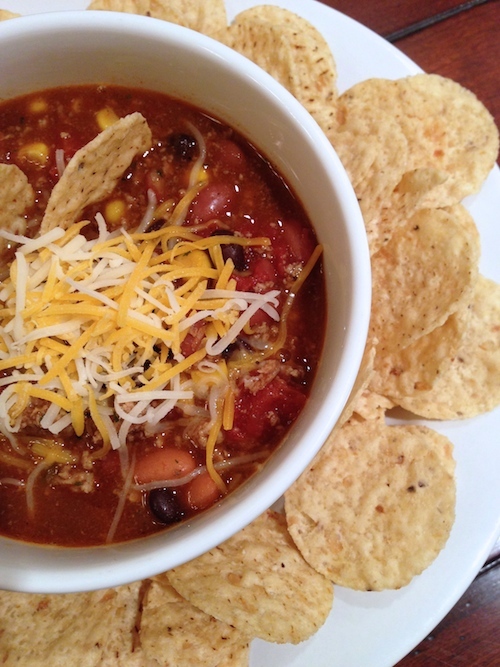 I ran into a taco soup recipe at Taste of Home and gave it my own personal touches. We absolutely enjoyed every bite and plan on freezing the remainder for those lazy, football Sundays.